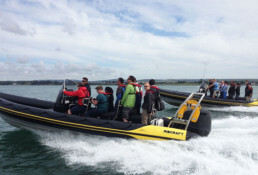 Our events team have been busy running an amazing array of sales incentive and reward events for a number of clients; from wine tasting in Bordeaux, to racing ribs around the Isle of White. Sales incentive and reward trips represent a new addition to our events team portfolio, with a large range of bespoke events available to clients. Logan Sports Marketing will arrange the trips from start to finish – initiating ideas, organising logistics, co-ordinating activities and making sure teams get the maximum from their incentive or reward. – Ski trips to the French Alps.